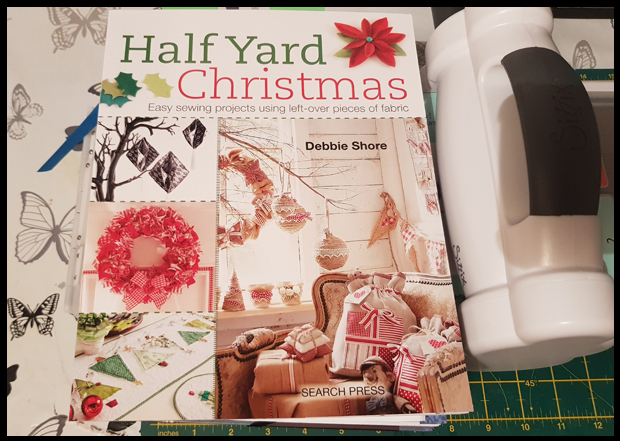 I have several half yard & fat quarter books, and one of my favourite tutorials is in the Half Yard Christmas book* by Debbie Shore on how to make Christmas cones. 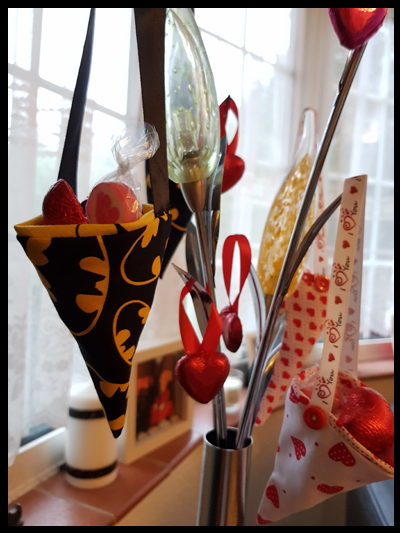 I love them and had them down on my 'to do list' for Christmas crafts, but life and my other million 'wish list craft projects' kind of got in the way. 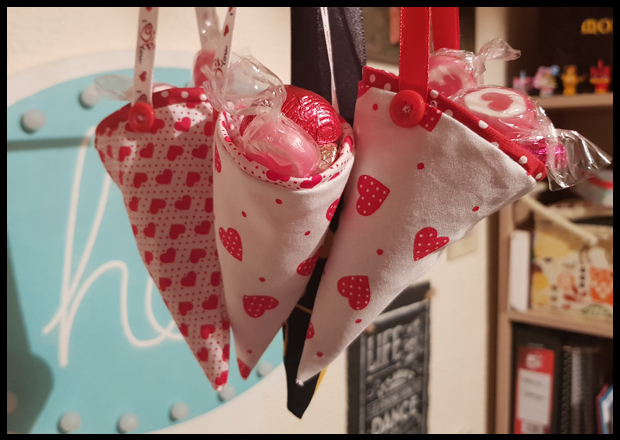 You can make 4 cones from just two pieces of fat quarters, and if the sizing is just right, you can actually get 8 cones, which is a great return on such small pieces of fabric, which you can purchase for a couple of pounds each in sales or eBay. 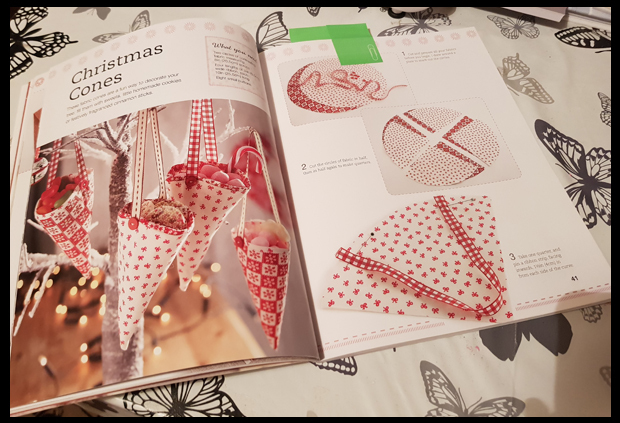 I love Debbie Shore's books, I've been following several tutorials from these books now and would highly recommend them for anyone who wants to have a play with sewing projects, learning (as I am) or just want lovely home decor pieces in fabrics and colours that are as individual as you are. 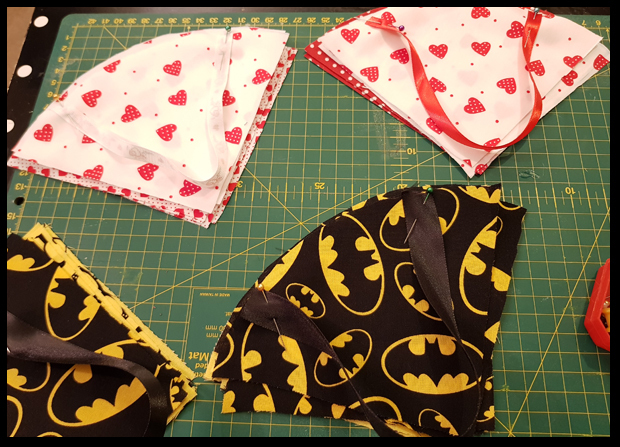 So as you can see, I've picked out some fabulous love heart pieces from eBay and my magnificent Batman fabric with geeky glasses for my individual touch. 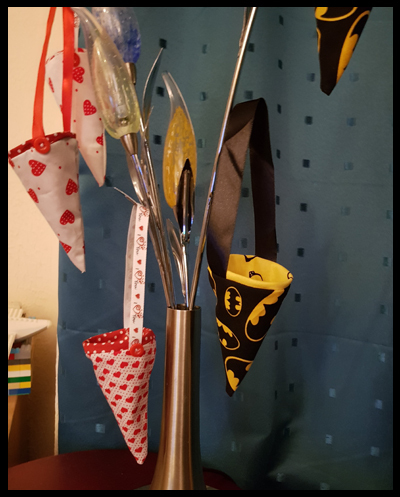 This little project is something you can complete in a day, a sewing machine is ideal and recommended, but in all honesty, you could make these by hand. Granted it would take a lot longer, but you could definitely pull them off. 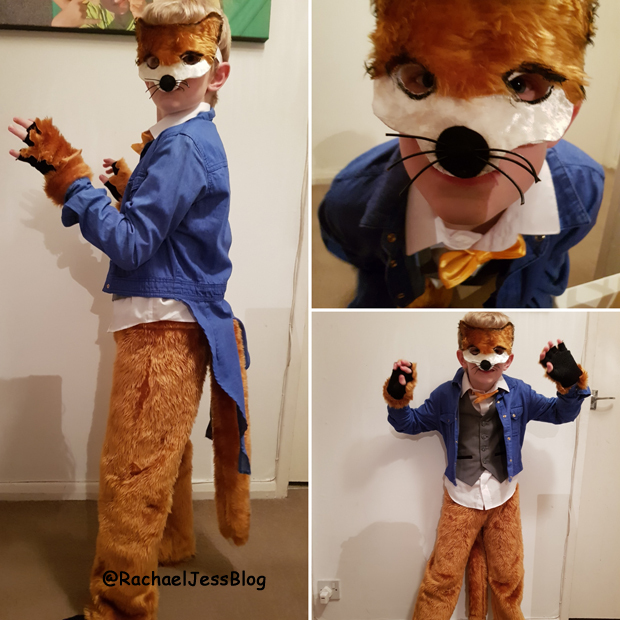 Let's face it, I'm still learning and if I can do these, then you can too. And the absolute best part of making these? 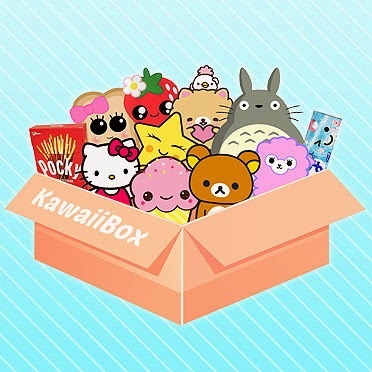 I get to fill them all up with sweets and chocolates, and there is nothing wrong with making a few extra for yourself. 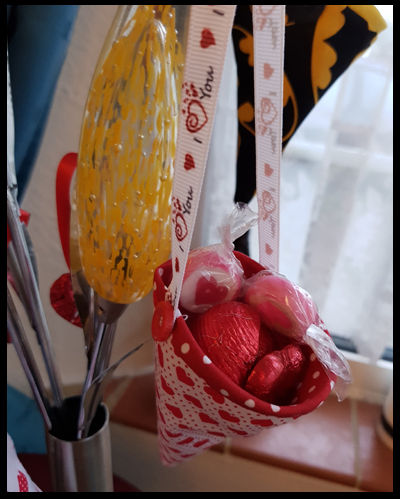 These are currently hanging off my lights, I want to make a little Valentine tree from twigs to hang them off, but I highly doubt there will be any chocolates left in them by then!